This is the park where the movies come alive. See your favorites in ways you never though possible. Be a part of the movies like Transformers, Revenge of the Mummy, Despicable Me and much more. 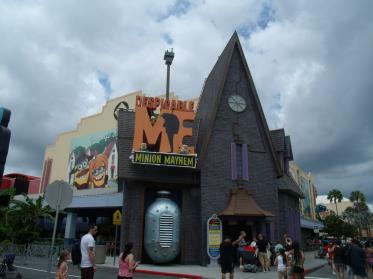 Despicable Me Minion Mayhem - A 3-D ride. Start your adventure in Gru’s home, where you’re recruited for his latest scheme – one where you’ll become an actual Minion. And as usual things don't go as planned! Within moments, you're launched into an unforgettable trip through Gru's super-villain laboratory. 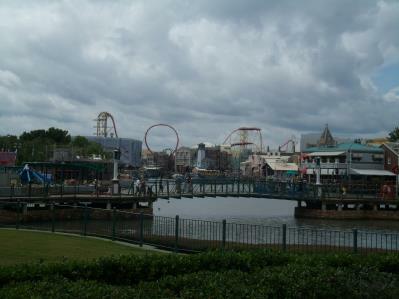 Hollywood Rip Ride Rockit® - One of the most thrilling starts to a coaster. Climb 17 stories straight up then dive down at 65 mph. Featuring the world's first non-inverting loop. Another exciting aspect is the ability to choose your own song that you will be riding to that you will hear while rocking out on this awesome coaster. The Simpsons Ride™ - A 3 D Motion ride as you visit Krustyland. You board Krustyland's own top coaster but all does not go according to plan. You will be flying, floating, and more or less crashing your way through Krustyland's kiddie attractions, stunt shows, and thrill rides. Shrek 4-D - On this thrilling 3 D show Lord Farquaad has returned (in ghostly form) to kidnap Princess Fiona. You'll gallop through a haunted forest, ride on the back of a fire-breathing dragon, and plunge over a churning waterfall in order to save the day and get the princess back. Revenge of the Mummy® - A thrilling inside roller coaster unlike anything that's come before it. You'll plunge in total darkness, plagued on all sides by huge fireballs, swarms of scarab beetles and an army of warrior mummies. Come face to face with the Mummy as he attempts to capture your soul for all eternity. Can you survive the awesome power of Imhotep's curse…or will you be entombed inside forever? MEN IN BLACK™ Alien Attack™ - As an agent trainee, you'll zap aliens as you chase them through the streets of New York in this high-tech, interactive ride based on the hit movies. But be warned... these aliens zap back, spinning your vehicle out of control. Terminator 2®: 3-D - In a battle to prevent mankind's extinction at the cold, steel hands of menacing cyborgs. You'll dodge plasma blasts. Feel objects whooshing past you. And become completely immersed in the 360-degree action of this thrilling adventure set in an apocalyptic wasteland. Richter's Burger Co. - Ground-shaking Double Cheeseburgers that you can top yourself at the fixin’s bar, plus Chicken Sandwiches, Grilled Chicken Salads, and Milk Shakes. Mel's Drive-In - '50s drive-in featuring golden oldies on the jukebox and delicious Burgers and Fries, Chicken Sandwiches, Chicken Fingers, Onion Rings, Root Beer Floats and Frosty Milk Shakes. Universal Studios' Classic Monsters Cafe - Enjoy Rotisserie Chicken, Brick Oven Pizza, Pasta and Salads in this salute to Universal's classic horror films featuring themed dining areas––such as Dracula's castle, the swamp, and the flying saucer–-and an array of monster movie memorabilia. Louie's Italian Restaurant - Italian restaurant home to the Bronx's best Pizza, Spaghetti & Meatballs, Fettuccini, Meatball Subs, Salads, plus Gelato & Italian Ice. Beverly Hills Boulangerie -Everyone knows how health-conscious celebrities are, and this is where the stars can eat right AND splurge at the same time. Enjoy Breakfast Croissants, Sandwiches, Soup, Salads, Freshly Baked Pastries and Cheesecake. Schwab's Pharmacy - Delicious Ice Cream Sundaes, Milk Shakes, Malts, Banana Splits and Ice Cream Floats. Kid Zone Pizza Company - You can get Pizza, Chicken Fingers, Chef Salads, or Fruit Cups for a quick and tasty "on the go" meal. Starbuck's Cafe® - Enjoy Starbucks’ famous Brewed Coffees, Espresso, Lattes, Cappuccinos and Frappucinos, plus fresh Pastries. Ben and Jerry's - This ice cream parlor features Ben & Jerry’s unmistakable Ice Cream in Waffle Cones, Sundaes and Shakes, plus delicious Smoothies. Beetlejuice's Graveyard Revue™ - Join Dracula, the Wolfman, Frankenstein and the Bride of Frankenstein as they take the stage in this mega-monster spooktacular which features great music, dancing, comedy, special effects, and enough pyrotechnics to wake the dead. The Blues Brothers® Show - Join the Blues Brothers accompanied by the vocal talents of Mabel the waitress and her sax-playing lesser half, Jazz. The Blues Brothers may have left the Windy City behind, but they've brought with them the high energy music and attitude that is distinctively "Chicago." A Day in the Park with Barney™ - It's the only place on earth where kids can meet Barney and his friends Baby Bop and BJ live every day in a sing-along, clap-along musical show. The fun takes place in a peaceful park setting with trees, park benches and flowers. While the characters dance and sing both new songs and familiar favorites leaves fall from the sky, snowflakes flutter down, the stars come out and other magical surprises take place. Fear Factor Live - Perform gravity-defying stunts live in front of thousands as you compete head to head against other guests. Come eye-to-eye with creatures from your nightmares as they creep and crawl across your skin. Or, pulverize contestants from your seat with unexpected audience-induced mayhem. Whether you take part in the stunts or just watch all the action from the audience, it's unscripted, unpredictable, and unlike anything you've ever seen before. Lucy - A TributeSM - Get a close-up look at the world’s favorite redhead on screen and off! See clips from classic shows, actual costumes and props, scripts, rare home movies, personal correspondence, awards and more. Then test your Lucy trivia knowledge with our interactive video game! You're sure to fall in love with Lucy all over again. This indoor walk-thru attraction is located in the Hollywood backlot area, is for all guests and has no height restrictions. Universal Orlando's Horror Make-Up Show - In this outrageous live show you'll see how top make-up and special effects artists create some of the amazing effects you see in Hollywood's latest hit movies. The show contains movie clips, prop and creature make-up demonstrations, and fascinating insight into the moviemaking process. Before the show, check out the lobby’s collection of authentic props, make-up effects and more from some of Universal's most legendary horror movies. E.T. Adventure® - E.T. 's homeworld, the Green Planet, is dying. Only E.T. has the power to save it... and only YOU can bring him there. Board your flying bicycle and sneak him through the woods – past the police and scientists searching for him. Then take off and fly over the city, past the moon and soar across the stars together. At the end of your journey awaits his magical planet, filled with unforgettable creatures who greet you in song... with E.T. himself there to thank you personally. 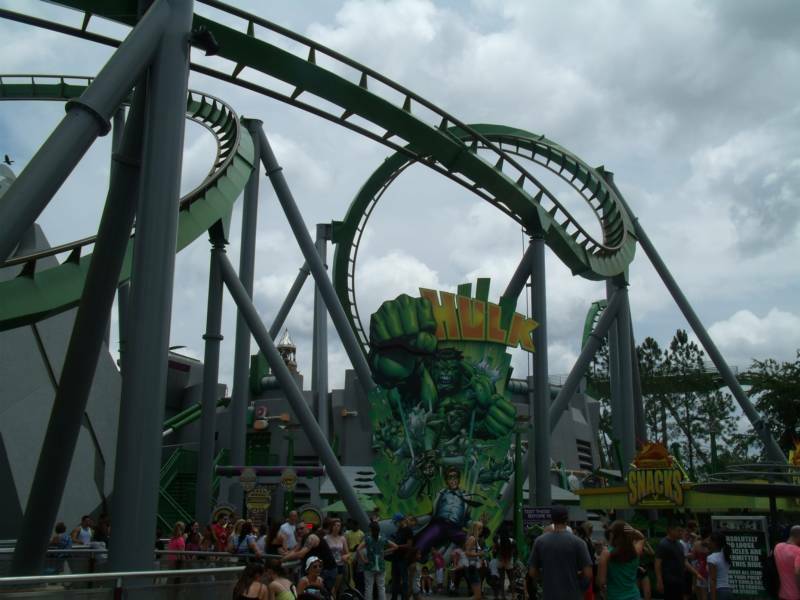 Disaster!SM- A Major Motion Picture Ride...Starring YOU - You'll see scenes from some of Hollywood's biggest movies and witness live demonstrations that show you how many of the most amazing stunts and special effects were created. You might even get the chance to play a part in Mr. Kincaid's latest film currently in production. TWISTER...Ride It Out® - Grab onto the railing or you'll be sucked into the swirling vortex of a tornado measuring F5 on the Fujita scale. You'll withstand the powerful winds, deafening roar and pulse-pounding intensity of a monster storm with a mind of its own. A voracious beast, the twister will consume everything in its path... shattering windows, hurling trucks, and crushing enormous signs in a total assault on your senses – with you right in the middle. From the first flying debris to its fiery conclusion, it'll blow you away! Woody Woodpecker's Nuthouse Coaster® - Whoa! What happens when you let a wacky woodpecker design and build his very own roller coaster? You get a nuthouse on wheels! Woody Woodpecker’s Nuthouse Coaster® takes you on a ride through Woody’s nut factory, filled with the kind of puns and corny jokes that only a real nut like Woody Woodpecker would think up. Transformers 3D - As a NEST recruit, you’ll find yourself on the front lines of an intergalactic war between the Autobots and Decepticons. 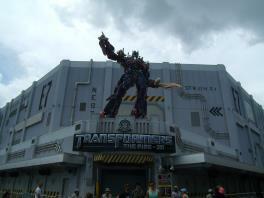 You’ll fight alongside Optimus Prime and Bumblebee, trying to keep the Allspark from falling into enemy hands. Harry Potter and the Forbidden Journey™ - soar above the castle grounds as you join Harry Potter™ and his friends on an unforgettably thrilling adventure, coming face-to-face with an array of magical creatures! 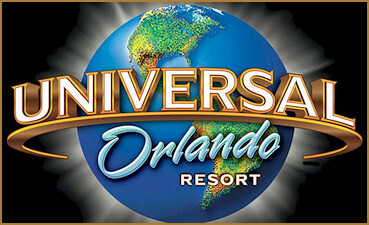 This amazing new attraction uses groundbreaking, state-of-the-art technology to create a one-of-a-kind ride experience. Dragon Challenge™ - Marvel at the blazing Goblet of Fire™ and the shining Triwizard Cup as you take on the Dragon Challenge™. Choose your dragon: an aggressive Chinese Fireball or a ferocious Hungarian Horntail. Then climb aboard and hold on tight as the two dragons twist and loop in a intertwining roller coaster chase across the sky. 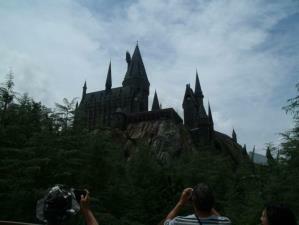 Dragon Challenge is actually two high-speed roller coasters – each "dragon" is a completely different ride. Flight of the Hippogriff™ - An enchanting family coaster woven from wicker and decorated with fluttering leaves representing feathers. Bow as you approach the 'real' Hippogriff, and then you're spiraling and diving around the pumpkin patch, and swooping past Hagrid's hut. 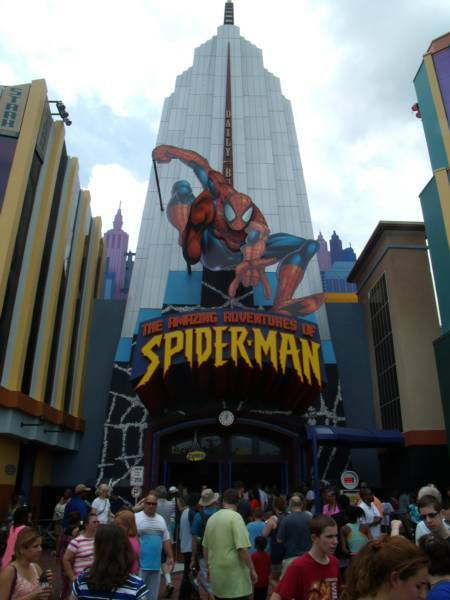 The Amazing Adventures of Spider-Man® - The Statue of Liberty has been stolen and it's up to Spidey to save the day. You'll follow right alongside the web-slinger, careening and crashing through the streets, scaling skyscrapers and plummeting to the pavement below in a simulated 400-foot freefall. First ever combination of moving, motion-based ride vehicles, 3-D film and live action.all. Caro-Seuss-el™ - You'll find an array of unusual creatures from the imagination of Dr. Seuss on this one-of-a-kind carousel. The Cat in the Hat™ - Go for a spin with The Cat in the Hat™ as you ride your couch through the pages of Dr. Seuss's, best-loved children's book. This delightful ride takes the story of The Cat in the Hat and re-creates it scene for scene. Doctor Doom's Fearfall® - With menacing Doombots watching your every move, you're strapped into your seat. The tension builds. Suddenly the countdown reaches zero and you are rocketed skyward, 150 feet into the air, then hurled back down faster than the force of gravity itself. Doctor Doom's diabolical device has done its work… he collects the fear from your body and sends you on your way, ready to claim his next victim. Storm Force Accelatron® - Professor Xavier has enlisted you to help Storm battle the evil Magneto. You must board Professor Xavier's new device, the Accelatron, and use it to help amplify Storm's powers. As you speed faster and faster in this whirling, twirling, spinning power generator, Storm produces thunder and lightning, sending Magneto into a full retreat. Mythos Restaurant® - This award-winning restaurant offers exceptional contemporary cuisine in a setting to spark the imagination. Enjoy such dishes as blueberry and pistachio crusted grilled pork, cedar planked Bay of Fundy salmon, gourmet hamburgers and imported pasta. Mouth-watering desserts and more. Circus McGurkus Cafe Stoo-pendous™ - Enter the big top of the Circus McGurkus where strange creatures perform and acrobats twirl high overhead. Kids especially will love the menu which features Fried Chicken, Spaghetti, Pizza, Cheeseburgers and Chicken Caesar Salad. Cafe 4SM - On the ground floor of the Baxter Building––headquarters and laboratory of the Fantastic Four––you'll find a convenient Italian eatery serving Pizza, Spaghetti & Meatballs, Fettuccini, Meatball Subs, and Chicken Caesar Salads. Tell your hunger, "It's clobberin' time!" Captain America Diner® - This is the place where heroes hang out, and you'll see them all over the walls of this star spangled diner. Enjoy an All-American menu of Cheeseburgers, Chicken Sandwiches, Chicken Fingers, and Crispy Chicken Salads. Comic Strip Cafe® -All your favorite comic strip characters line the walls of the Comic Strip Cafe®, a fun cafeteria-style food court where you have your choice of Fried Chicken, Fish & Chips, Hot Dogs, Burgers, and even Asian & Italian Dishes. Thunder Falls Terrace® - Now these are some bones you can really sink your teeth into. You'll be glad you're a meat eater when you catch the aroma of sizzling BBQ Ribs, Wraps, Rotisserie Chicken, Smoked Turkey Legs, Soup and Salads. The Burger Digs® - This is where Jurassic Park’s staff paleontologists take a break from unearthing fossils and dig in to mouth-watering Burgers and Garden Burgers, Chicken Sandwiches, Chicken Tenders and ice cold drinks. Croissant Moon Bakery® - The moon may not be full, but your belly will be after a stop at the Croissant Moon Bakery®. Enjoy savory Deli Sandwiches, Paninis, Freshly Baked Pastries, and Cheesecakes. A great breakfast stop before your day’s journeys! Blondie's - Nothing tastes better than a gravity-defying sandwich stacked with fresh meats, cheeses, vegetables and dressings. That's what you get at Blondie's deli featuring made-to-order Deli Subs and Sandwiches including the famous, piled-high "Dagwood." Hop on Pop™ Ice Cream Shop - t's just the thing to cool you off on a warm, sunny day. Grab your Pop and make a stop at the Hop on Pop Ice Cream Shop for Ice Cream Sundaes, a Sundae on a Stick, Waffle Cones, and Root Beer Floats. The action takes place in a spectacular setting – a mysterious grotto littered with the wrecks of ships lured to their misfortune by the evil sorceress. You'll be on the edge of your seat as you witness exciting battles between the heroes and Miseria's ghoulish minions, explosive pyrotechnics, and eye-popping stunts including a fiery plunge into the water below. Oh! The Stories You'll Hear! 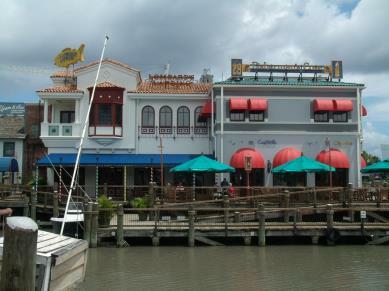 - Tales of strange creatures in Dr. Seuss glories, By tellers of rhymes and poems and his stories, Just go to Seuss Landing and open your hearts, The players perform and the silliness starts! featuring your favorite Dr. Seuss characters: Sam (of Green Eggs and Ham fame); The Cat in the Hat™ with Thing One™ & Thing Two™; The Grinch™ and the Lorax™—all dancing to musical "tellings" of the good doctor’s best-loved stories. Poseidon's Fury® -You'll soon find yourself trapped far beneath the sea with no hope of escape, caught in the middle of a colossal battle between ancient titans Poseidon and the evil Lord Darkenon. Massive fireballs, lasers, and huge explosions of water erupt all around you as you witness the power of this special effects spectacular. Will you make it back to the surface before the temple crashes down around you? Jurassic Park River Adventure® - Gently glide past an enormous Ultrasaurus. See a baby Stegosaurus and its mother. Watch out for the Dilophosauruses, commonly known as "spitters." Suddenly you're bumped off course and into a restricted section of the park… the Raptor Containment Area. The power to the fences is down. The raptors have broken loose! You ascend into the Environmental Systems Building as chaos unfolds around you. The lights are out. Raptors stalk your every move. And your only escape from the terrifying jaws of a towering T-rex is an 85-foot plunge in total darkness! One Fish, Two Fish, Red Fish, Blue Fish™ - As you fly low and fly high, spinning and swooping around and around you'll pass an array of fountains that squirt in time to a musical rhyme. Pay attention to the words and do what they say if you don't want to get wet! Popeye & Bluto's Bilge-Rat Barges® - As you splash and churn your way through the waterways of Sweet Haven you'll sail through a variety of amusing scenes and different ways to get you wet, including a fully-operational barge wash and an Octopus Grotto where you'll encounter an 18-foot tall, 14-foot wide octopus with 10-foot long tentacles. Don't be surprised if you’re completely soaked when it's all over! Pteranodon Flyers® - Located in the Camp Jurassic® play area inside Jurassic Park®, the Pteranodon Flyers enable you to glide and soar through the air to get a prehistoric bird's-eye-view of the surrounding area. Note: This attraction is designed for children 36" to 56" in height. Guests over 56" in height must be accompanied by a child meeting the 36" height requirement. 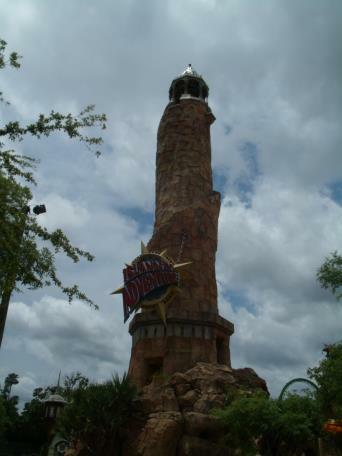 Dudley Do-Right's Ripsaw Falls® - Will Dudley Do-Right and his faithful horse, Horse, reach Nell in time to save the day? Will you be able to keep a straight face as you encounter the hilarious puns and visual jokes that mark your journey? Will you stay dry when you experience the incredibly steep plummet down Ripsaw Falls? Hop in your log for the watery conclusion of this sidesplitting flume ride to find out! The High in the Sky Seuss Trolley Train Ride!™ - On this twin-tracked ride you'll take a gentle journey high above the colorful rides and attractions of Seuss Landing. One track of the trolley even circles around the inside of Circus McGurkus Cafe Stoo-pendous™ letting you wave at the guests dining below. As you wait to board the trolley you'll follow the wonderful story of the Sneetches™ featuring Sylvester McMonkey McBean™. One track continues the story of the Sneetches, while the other track gives you the ABC's of Seuss Landing as you pass overhead. 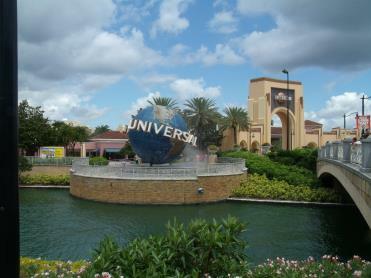 Universal Orlando Resort is home to 2 World Class theme parks. 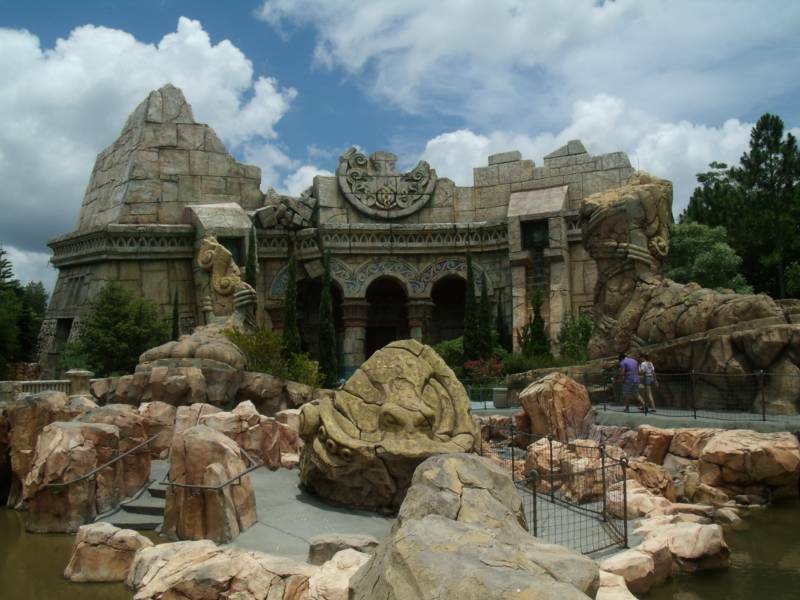 Use this section of out site to read more about the attractions, shows, dining and see photo galleries with 40 plus photos on each park.